Paul Schrader wrote and directed this powerful exploration of how belief systems often turn toxic. 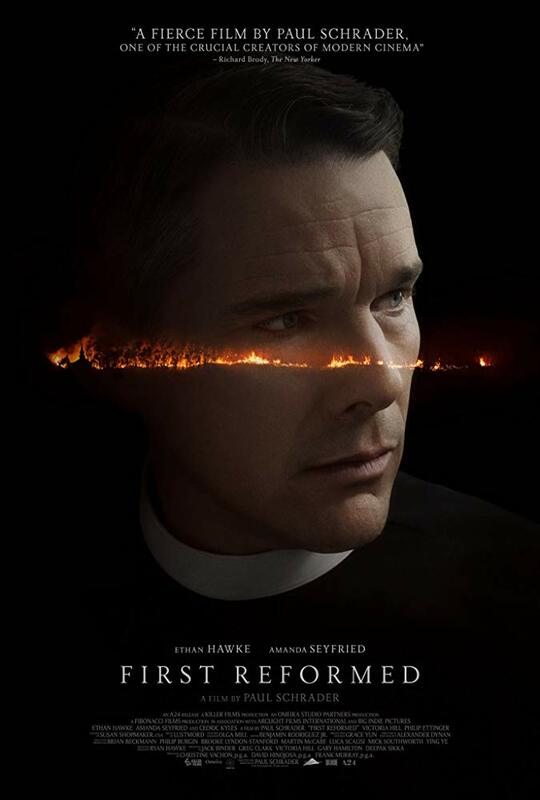 Ethan Hawke plays Reverend Toller, a pastor who is drawn into the lives of Michael (Philip Ettinger) and Mary (Amanda Seyfried), a troubled couple who turn to him for guidance. Instead, of course, a sequence of events leads Toller down a dark journey that threatens to unravel him completely. Using the backdrop of current affairs – climate change and the greedy corporate shills behind the scenes – Schrader is able to make Toller’s dilemma highly relevant. To his credit, Schrader never pontificates on the rights or wrongs of the situation, and leaves the audience to make up their own minds. In fact, Schrader sometimes goes beyond objective observations, allowing the audience a subjective often surrealistic perspective from Toller’s own disturbed mind.